Galle High Court Judge Wasantha Jinadasa rejected an application filed by Ukrainian Gennady Gavrylov, the captain of ‘MV Avant Garde’ seeking to relax his bail conditions enabling him to travel to Ukraine for a heart surgery. The judge said that for such a relief, a written assurance of his return after the anticipated surgery should be given by two officials of Ukranian Embassy in India after appearing in person in court in Sri Lanka. The High Court Judge further directed that provided he obtains permission to go to his mother country, he should be accompanied by two Criminal Investigations Department (CID) officials. The application had been submitted by Gennady Gavrylov the Captain of the Avant Garde ship stating that he needed to fly to Ukraine for a heart surgery as was suffering from a heart ailment. The petitioner had been remanded for keeping fire arms in his possession and had been later ordered to be released on Rs. 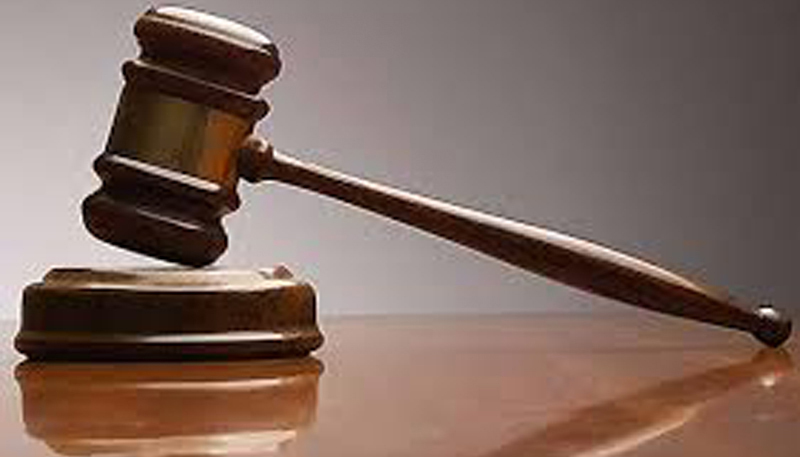 five million cash bail on condition that the suspect appear in Galle Police every Sunday and in the event of going out of Galle, he should get prior court permission. The defence lawyer argued that the defendant had no link with the disputed cache of firearms which found on board MS Avant Garde and he was only employed as the captain of the respective vessel. His sea route to Sri Lanka is clearly revealed and he was waiting in Sri Lankan waters for permission to enter Sri Lanka.The corresponding firearms were in the custody of Sri Lankan officials and the suspect was a chronic heart patient, the defence lawyer said. The defence further stated that the Ukranian Captain has already become a prisoner of this country being remanded for nine months. The doctors have recommended him a heart surgery. However the suspect does not like to undergo the operation in Sri Lanka. He has already filed a fundamental rights case demandingRs. 500 million.If he is further kept as a captive, he would even lose his life, the defence lawyer further pointed out. The State Counsel told court that the case against the suspect was at its final stages and arrangements were being made by the Attorney General to serve indictments against him including some others. He cannot be allowed to go out of the respective jurisdiction on any bail bond. He could be allowed to undergo the heart surgery at any hospital in Sri Lanka, the State Counsel said. On consideration of the submissions of both parties, the High Court Judge issued the above order. Following his return after the particular heart surgery in his country on conditions stated by court, he would be allowed to appeal for the relaxation of his bail bond of Rs. five million. Vessel MS Avant Garde was seized close to the Galle Harbour by Sri Lanka Navy on October 15, 2015 for allegedly carrying illegal firearms and handed over same to Criminal Investigations Department for further investigations. The Nay detected 549 T 56 firearms , 264 84 S Firearms, LMG guns and 204,674 ammunitions on board the ship. The Attorney General was represented by Janaka Bandara and Attorney A.P.G.Sarathchandra appeared for the defendant.